Straight Talk: Beware the Union Organizer! We’ve been in the news a lot lately; we’ve had several new worksites unionize and we’ve been part of a very unpopular job action by Air North’s flight attendants. We thought we’d provide a bit of truth against the mythology that we are out there in Yukon communities with our thugs, stirring up trouble uninvited. YEU has exactly zero union organizers on staff. YEU’s massive organizing budget is $0. That’s right. $0. 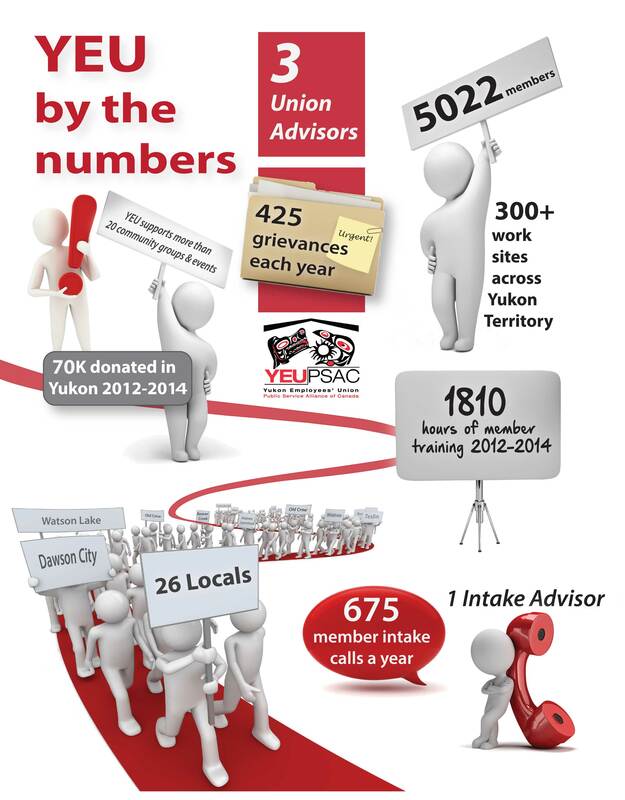 We are gratified and proud that so many Yukon workers have chosen to come to YEU when faced with workplace problems they can’t solve. We are proud that workers from across the territory have chosen to approach us asking for help. That’s how it works, they call us. They. Call. Us. And when their collective agreements are negotiated, guess what? THEY decide which issues matter to them, and they tell US what they need. And good for them. Thank heavens they do. We’ve seen some pretty powerful examples lately of what happens when workers don’t have the support they need to make things right in their workplaces. We’d love to tell you that workers no longer need unions… that is surely not the case now and we don’t see it as a likelihood in the near future. We’ve heard it all; unions have no purpose anymore; everything unions achieved in the past is now enshrined in legislation so we don’t need them. That’s funny, considering how free-wheeling this government has been with legislation. Nothing is set in stone in Canada these days… just ask a scientist, a pensioner or a veteran. Unions are too political; why doesn’t anyone say that about corporations? We’re fighting for YOU, for your rights and your salary, your healthcare, your children’s education, your freedoms, your choices, your equity and your future. Corporations spend millions lobbying for their interests… they’re not spending that money on anything to benefit you or your kids, period. So there you see folks. Our budget for agitation and organization of new units is a big fat zero. The number of staff members at YEU dedicated to the purpose of ensnaring unsuspecting workers is also a big fat zero. These workers are signing up for the same reasons workers have always unionized. Strength in numbers is not a slogan, it’s a fact. Get the facts. You have questions? We have time. Call us at 667-2331. Email President Steve Geick at sgeick@yeu.ca or if you want, Call Steve at 867-335-2631! 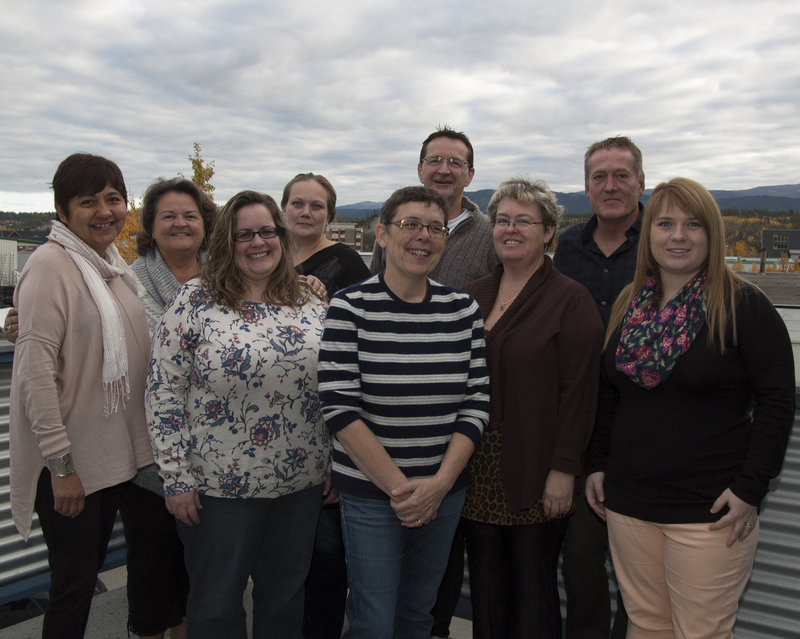 YEU is excited to launch our 2014 Triennial Convention in downtown Whitehorse. For the next three days, northern Union activists will discuss & debate resolutions to govern the working of the organization and elect their leadership for the next cycle. Here’s a photo retrospective looking back at some of what we have done over this past cycle… we’ve been busy! We have now started bargaining and we know you’d like to know how things are going. We’d like to invite you to a special meeting to update you on the process and our proposal package. PLEASE join us at the YEU Hall for a meeting on Tuesday October 21st, 7pm. We will gather in the Lucy Jackson Training Room, the large meeting room at the back of the building. If you’ve never been there, the address is 2285 2nd Avenue at the bottom of 2 Mile Hill beside Fountain Tire. This is important information and a chance to stay informed on your contract negotiations; we hope to see you on Tuesday!